Happy wedding anniversary to Annie and 2baba Idibia! Today, the entrepreneurial actress took to her social media to reveal that she flew her husband to Ghana for their 5th wedding anniversary, and he was ‘pleasantly surprised’ by when he realised her plans. The couple started dating in 2002 after their first meeting two years earlier. The relationship was stormy and this was because of the African Queen singer’s multiple relationship with different women who had children for him. Eventually, he and Annie tied the knot in 2013 and now share two daughters together. And fans are happy as they continue to wax stronger. 0 Response to "Sweet Love! 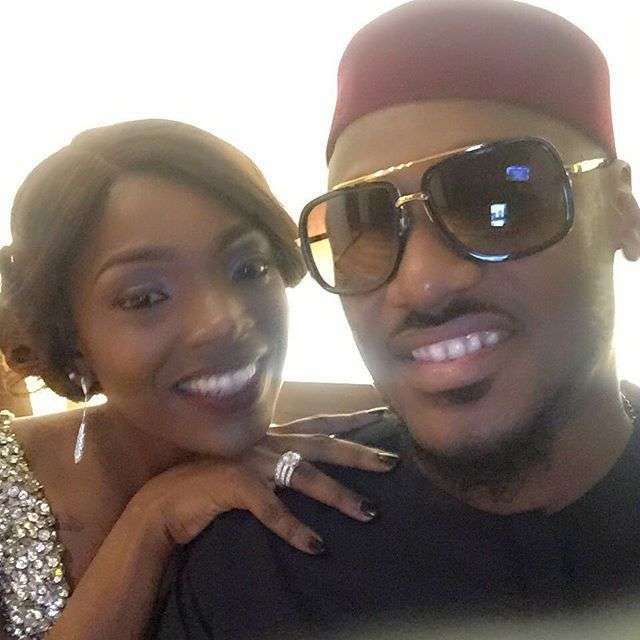 Annie Idibia Flies 2Baba Idibia to Ghana for Their 5th Wedding Anniversary"